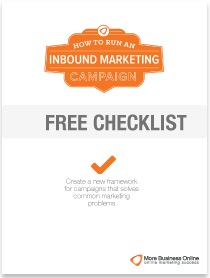 This checklist will assist you in developing inbound marketing campaigns which produce maximum returns for your business. It’s designed to be used in conjunction with the ebook “How To Create An Effective Inbound Marketing Campaign”. Want a copy of this free ebook you can download it here or from the below CTA. Should you need any assistance with your Internet Marketing please Contact Us.